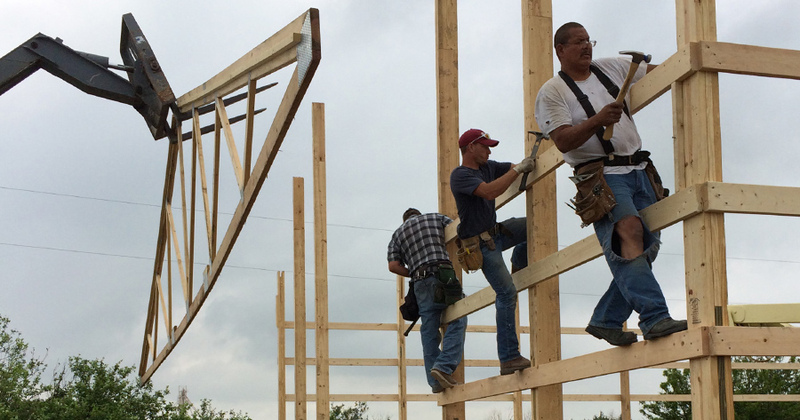 We are your small hometown post frame building company who understands the importance of “bang for your buck”. Click the link to the right and get your quote. We are your small hometown post frame building company who understands the importance of “bang for your buck”. Unlike BIG post frame companies with big overhead costs we take pride in keeping it small and efficient, so we can offer a much better value. “Explore a New Way to Build” today! We focus on the right building, the right way with quality craftsmanship over just making another sale. Customers are also our neighbors and friends. Being local is what provides customers with the best service and repairs. Facts are mistakes can happen. If it isn’t right, we will make it right. This is what being local is about. Outside of our installation area? 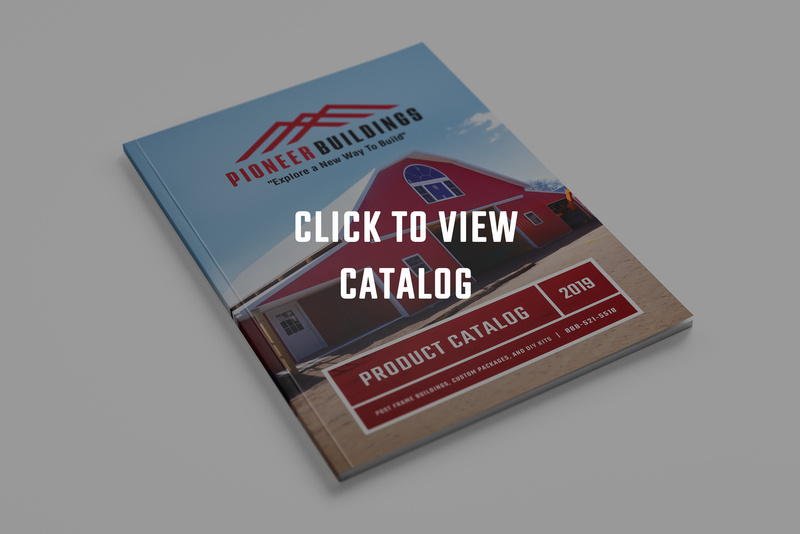 We take pride in supporting other rural communities and small business by working with them to supply our materials, provide our business services, and erect our buildings outside our installation service area. We are proud members of the National Frame Building Association. 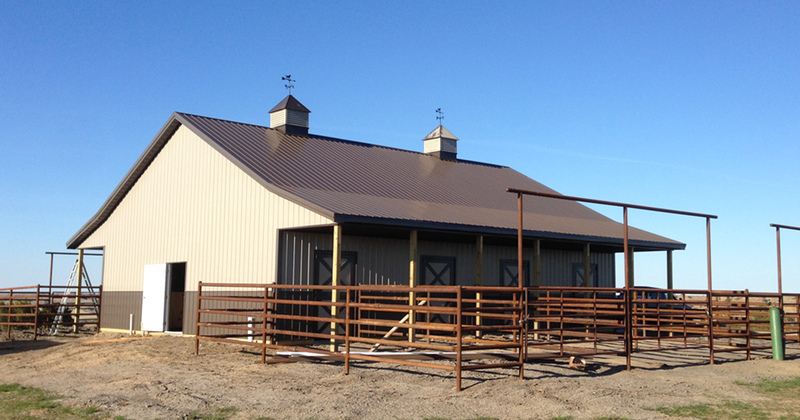 Visit the NFBA website for more information about the advantages of Post Frame Buildings. *These materials are not the cheapest or most expensive, they are what make our buildings the better value. Engineer stamped structural plans available at applicable cost. 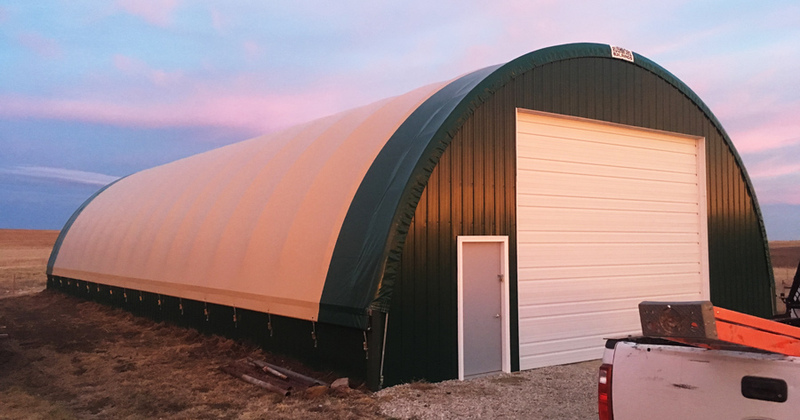 We also offer Fabric Building Systems “Hoop Buildings.” These easy to maintain fabric-covered steel buildings are an economical solution for more storage or work space. They are multipurpose and work great for grain storage, equipment, or livestock. Call us today to get a quote. We want to hear your feedback. Email Jay with your thoughts and receive a $50.00 credit on their account. Come see us at 310 Main Street. Call to setup an appointment.